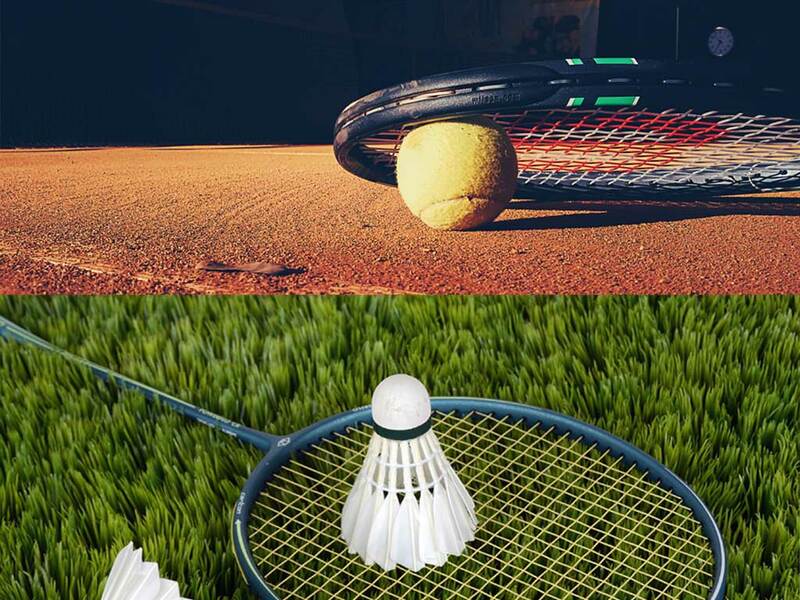 Badminton or Tennis: Which is best for you? The discussion about what is best between the Badminton or Tennis sports is a never-ending thing. Arguing whats better in better these two choices is more fun, interrogating facts and sounds excellent because both the games are fantastic. There is a lot of difference between these two international level games. It is quite daunting to select in between Tennis and Badminton. If you are worried about which one is the best, you might need to spend some sleepless nights thinking about the games. To help you with this topic, we sum up some of the main points about both of the sports to make it clear for you. Badminton: Do you know that Badminton was first played in the 19th Century? Yes! It is true. Badminton is a racquet game in which racquets are used to hit a shuttlecock al across the net. The game can be played with one player per side or two players per side. It is mostly played as an indoor or outdoor activity. Formal badminton games are mostly played within a rectangular court on both indoor or outdoor environment. Scoring of the players is counted based on the movement of the shuttlecock. You need to keep Striking the shuttlecock back and forth the net without missing it and letting it touch the floor. Badminton is first originated in England and developed worldwide within a short time. This sport is faster, simple, challenging and entertaining. The Badminton game is more about the law of physics because the striking pressure can change the score easily. Tennis: Tennis is an exciting game that keeps both players and viewers on edge. The primary racket game can be played in various forms and methods. It is first played in the 18th century, and it is one of the most challenging games between two singles in the field. It can be played in between two singles or doubles. To win the game, you need to hit the ball with some pressure so that the opponent can miss the ball. The gaming equipment consists of a racket and ball. The main aim is to make your opponent player to lose the hit. Tennis is one of the best Olympic games played in between all aged people. Badminton and tennis have different playing styles and to know what’s best for you-you must know your interest. The tennis ball is more massive than the badminton, and it drops quickly. In Badminton, you can just hit the shuttlecock in the air without letting it touch the ground. When the shuttlecock is in the air, you need to hit it with full pressure. Both of the games require a different kind of physics laws. You can jump in the air to beat it even faster. Choose the right type of sports for you by taking note of your personal choice too. We hope this article cleared your doubts about the difference between Badminton and Tennis.